The DS46B24R YellowTop® high-performance AGM battery is one of the only true dual-purpose automotive batteries available. They integrate with the current Toyota OE vent system without any custom installations. OPTIMA® YELLOWTOP® DS46B24R offers a direct fit replacement for the 2004 and newer Toyota Prius.® With premium cranking power and unparalleled cycling capability (rechargeability), it is perfect for modern accessory-loaded vehicles. 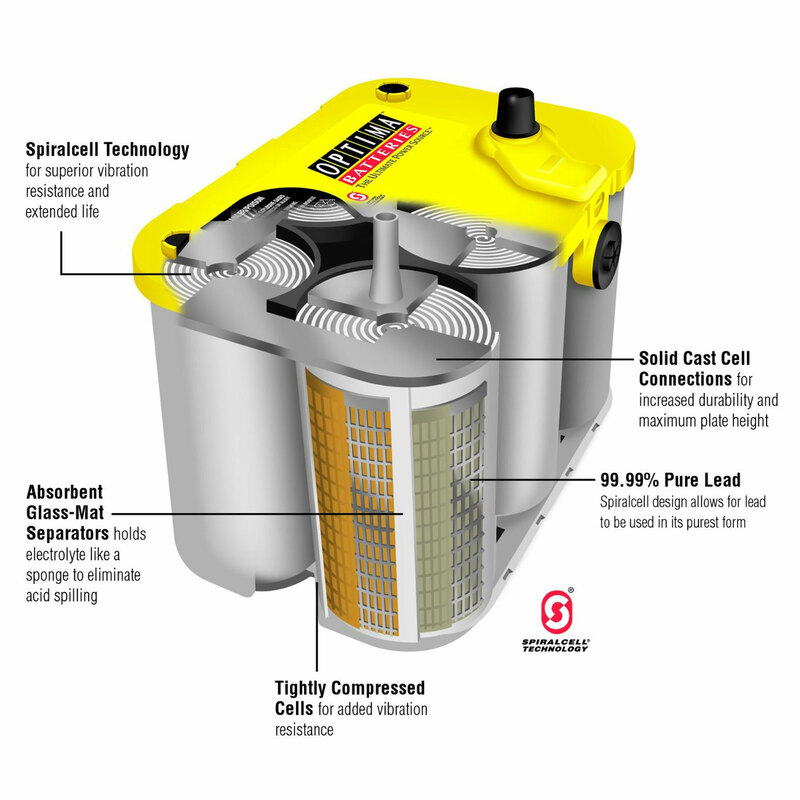 The YellowTop can repeatedly bounce back from deep power drains to full energy capacity, so it can power plenty of electronics and still start you up time after time. Lower internal resistance also provides more consistent power output and faster recharges. Need more Optima OPT-DS46B24R? We offer great discounts on quantity orders and FREE SHIPPING offers are available.